Are you struggling within your business? Are you looking to create more abundance? Are you interested in creating a business structure from the inside out? Develop and learn the skills to grow your Unique Business and find your U-FACTOR! Then you are READY to GROW your Unique Business with Dr. Lynne M. Kostiuk. 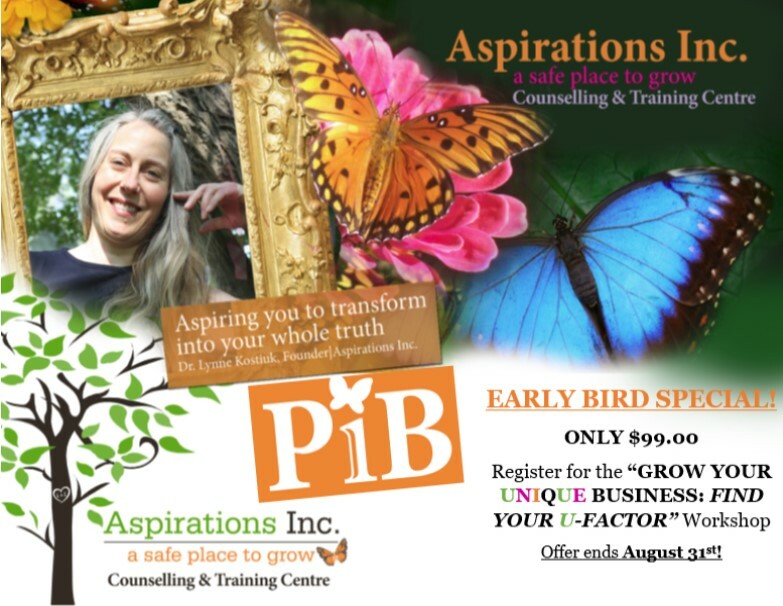 This early bird special saves you $30.00! Register fast because this offer ends August 31. Non-refundable registration fee of $35.00 is required. Cancellation Policy: A full refund will be provided if cancellation is received in writing 14 days prior to the scheduled event. No refund will be provided if Cancellation is less than 14 days.